To be honest, I don’t know where my psychotic love for baking came from. I mean, I don’t even have a sweet tooth. How does that happen? Also, I grew up in the LEAST “cooking household” ever. My mom made dinner two or three times a week, and the rest of the week we either fended for ourselves (read: cereal or frozen Kids Cuisine meals) or we had take-out/fast-food. My parents hated cooking and still do. And while I’d love to say my love of cooking was blossomed from spending hours rolling out sugar cookies or perfecting apple pies with a loving grandparent, I can’t. One grandma saved stale macaroni so I could make macaroni faces on paper plates with Elmer’s glue. She did pass down some amazing food when she cooked, but I never really witnessed her cooking and therefore, never participated. My other grandma, bless her heart, loves her microwave. And has an oven that’s about as old as time itself and sparks often, leaving half of the poor slice and bake cookies burnt to freaking ashes, and the other half somewhat undone. And one time, she heard from someone that adding sour cream to chocolate cakes or brownies can enhance the flavor, but she neglected to stir it in all the way. 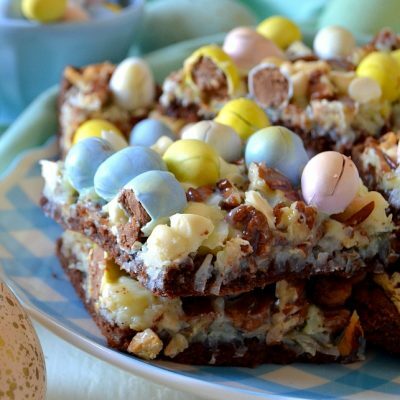 I distinctly remember seeing a plate of marshmallow-filled brownies sitting on the counter, squealed with joy, took a big bite, and frowned instantaneously. Those weren’t marshmallows. Certainly my love of baking isn’t genetic. Or based on fond baking memories. Maaaaybe it’s because I love food so stinkin’ much. Maybe it’s because I find some weird, immense pleasure in baking ALL. DAY. on my days off (I clocked in 5 hours straight yesterday). Maybe it’s because I love watching people’s faces light up when they see a pan of brownies (not with sour cream, fyi) or plate of cookies. Especially fun flavored ones. Those, I’ve come to find, are my specialty. No longer are the days in this house when I bake “just a pan” of brownies. My family has come to expect some kind of hidden twist lurking in that innocent-enough-looking cookie or cupcake. These cookies were no exception. While they look kinda unsuspecting, they’re filled with flavors of fall. They’re spice-based cookies stuffed with diced red apples, cinnamon, and Caramel Apple Milky Way candy bars. Don’t call your eye doctor; you read that right. Caramel. Apple. Milky Ways. Say it with me. The result is a cookie that’s tender, spicy from the cinnamon, sweet from the apples, and has a fun twist on a classic candy bar baked inside. If that’s not baking love, I don’t know what is. 1. Preheat oven to 350 degrees F. Line 2 cookie sheets with silicone liners or spray lightly with cooking spray. Set aside. 2. In a large bowl, combine the cake mix, eggs and oil until blended. Stir in the apples and the teaspoon of cinnamon to combine. 3. Scoop out heaping Tablespoonfuls of dough and place it in your palm. Press an unwrapped candy in the center of the cookie dough ball and gently fold the dough around the candy to enclose it. Place the filled cookie dough on the baking sheets, 1-2″ apart. 4. Sprinkle the dough balls with cinnamon sugar, then bake for approx. 8-10 minutes, rotating pans halfway through baking time to ensure even cooking. Allow to cool 5 minutes on the pan, then carefully transfer to wire racks to finish cooling. 5. These cookies can be stored airtight, at room temperature, up to 2 days. I love the unexpected softness and sweetness from the diced apples, and the gooey, caramel-appley center from the candy bars. My dad and brother flipped for these fall spice cookies and I know you will, too! These look so freaking good. Better than the ones I made, ha! Aren’t those milky ways delish? Who knew? Haha I bet yours are great! And yes, I LOVE them! When I saw them I was like, whatever, may as well get these and had no expectations of them being good but I love them! I love spice cake and caramel apples and milky ways! The cookies turned out perfectly! They look chewy yet soft, just the way I like them! You put the Milky Way inside!!! Oh that it wonderful! Great combination with the apples, the caramel and the chocolate, no wonder you dad flipped! I would too! caramel apple milky ways! I’ve never had those before! 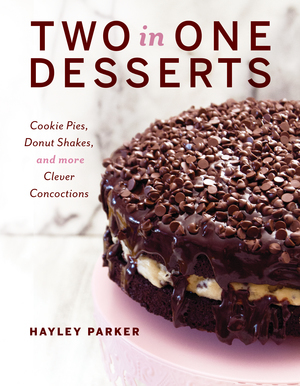 you find the sweetest candies and cookies to throw into your desserts, Hayley!! The only other milky ways i’ve ever had were the milky way midnights… with dark chocolate. OMG i love those! Can’t wait to try these! I didn’t even KNOW about this wonderful version of Milky Ways! Hey Jessica, it definitely was a wonderful surprise on the candy aisle! I almost didn’t read this post because I am not a fan of milky ways (don’t hate me). But I’m glad I read anyway because caramel apple milky ways sound super yummy! Me either, actually. But these are hecka good. The caramel apple flavor is so unexpected in them! What a gorgeous batch of cookies! It’s been years since I’ve had a milky way… way too long! Hey Ashley! Time to reacquaint yourself with these Milky Ways–they’re surprisingly tasty! I obviously need to take a stroll down the candy aisle soon! I love the flavors of these! PS- you have the BEST writing voice 🙂 I always love reading your posts! woah girl, i love that you stuffed these with a milky way!! what an awesome surprise! i’d love to take a huge bite out of one of these babies! 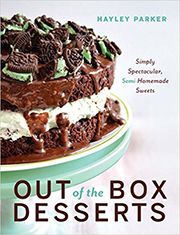 What I want to know is… how the HECK do you have so many crazy awesome baking ideas?!?! Mind blown! OMG you are a baking genius! These look awesome. MIlky way comes in caramel apple now!?!? What!!! Where?? You are friggin’ amazingly creative in the bakery! My oven can’t wait to heat this dough!